Cosmetic Dentistry of Murfreesboro is a general dentistry practice with a focus on cosmetic dentistry. We’ve been brightening smiles in Murfreesboro for over 20 years. Now let us brighten yours! Sometimes, a dental concern is negatively affecting the look of your mouth, while the treatment is not medically necessary for function. In this kind of scenario, cosmetic dentistry comes into play. This type of dentistry includes a variety of treatments that improve the appearance of your smile and boost your self-confidence. While these procedures may not be necessary, many of them strengthen your teeth and improve the quality of your life. They often go far beyond cosmetics to offer major benefits to health and function. The results of these treatments tend to be very rewarding. 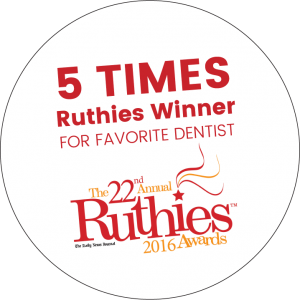 We’ve been honored to win Rutherford County’s Ruthies Awards for favorite dentist and favorite cosmetic surgery for five consecutive years. Founded by Dr. Greg Nicholson, Cosmetic Dentistry of Murfreesboro has been brightening smiles for over 20 years. 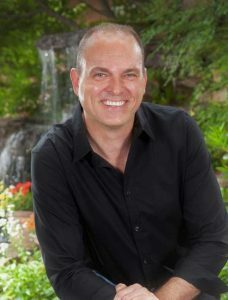 Dr. Nicholson holds a Bachelor of Arts degree in Studio Arts from The University of Tennessee-Knoxville as well as a D.D.S. degree from The University of Tennessee-Memphis and has been practicing dentistry since 1992. He has been a member of The Academy of Cosmetic Dentistry (AACD), The American Dental Association (ADA), and The Academy of General Dentistry (AGD). With his artistic eye, combined with 25 years of experience, Dr. Nicholson knows what works and what doesn’t when it comes to cosmetic and general dentistry. His focus is on services and procedures that best benefit the patient. Just because we are located in Murfreesboro doesn’t mean we only service patients in Murfreesboro. Being in the largest city next to Nashville, we see people from all areas of Rutherford County like Smyrna, LaVergne, Eagleville, Rockvale, Christiana, and Walterhill. We also see those from cities in adjacent counties, including Smithville, McMinnville, Manchester, Winchester, Tullahoma, Shelbyville, Woodbury, Unionville, College Grove, Wartrace, Bell Buckle, and more.